Join contemporary New Zealand based artist, Fleur Woods for a weekend of creative exploration inspired by florals. Fleur openly shares her process from start to end over a wonderful weekend of creativity. From washy abstract painting on linen to sourcing and creating your own imagery and then stitching it into your own floral artwork. This workshop suits all experience levels as the skills used are accessible for beginners and extendable for experienced creatives. All materials are provided. Gather a group of friends and treat yourself to a blissful weekend of creativity with like minded souls in a gorgeous setting. Please note, Fleur is a self taught artist who shares her authentic process, tips & tricks developed over years in the studio. 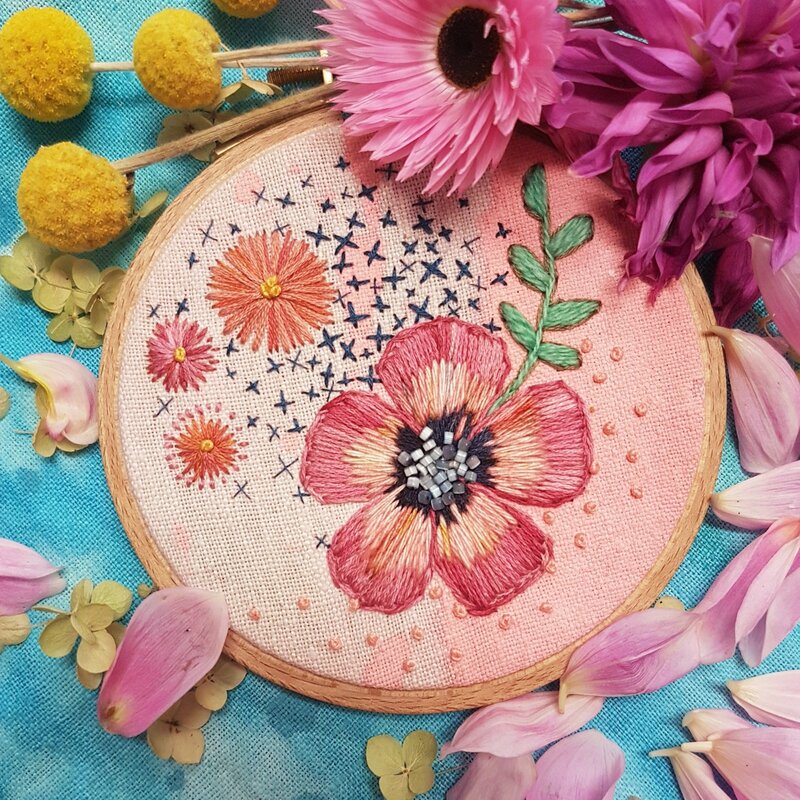 The intention of this workshop is to share her methods which will differ from traditional embroidery and painting techniques.